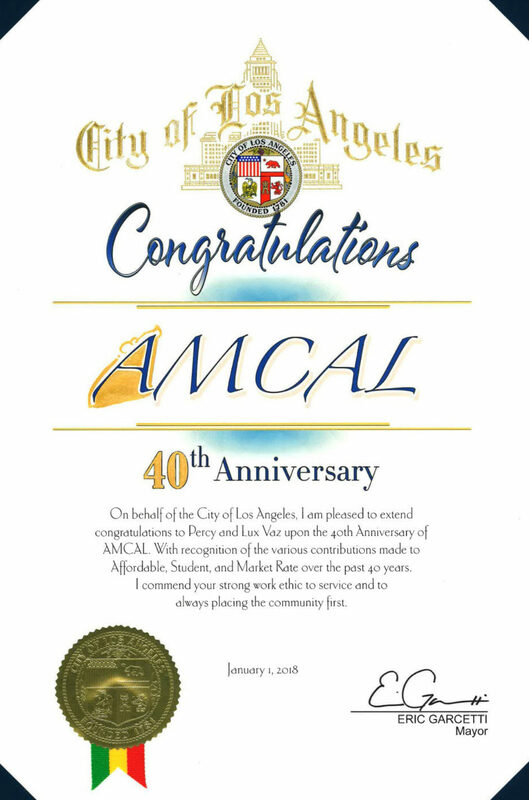 On behalf of the City of Los Angeles, I am pleased to extend congratulations to Percy and Lux Vaz, upon the 40th anniversary of AMCAL. With recognition of the various contributions made to Affordable, Student and Market Rate over the past 40 years. I commend your strong work ethic to service and to always placing the community first. Rising to the 7th spot in this year’s Top 50 Affordable Housing Developers as ranked by Affordable Housing Finance Magazine, AMCAL Multi-Housing, Inc. boosts its 47th spot ranking from last year. It still looks to be a glass-half-empty kind of year for affordable housing developers, writes Deputy Editor Donna Kimura, in her recent article “Cautious Optimism” in the April/May 2018 issue of Affordable Housing Finance magazine. Kimura goes on to write: They anticipate a better but tough road ahead in 2018. Even with the uncertainty of tax reform behind them, more than 48% of recently surveyed developers expect housing finance conditions to worsen by the end of the year. About 31% say conditions will improve, and 20% say they’ll be about the same. 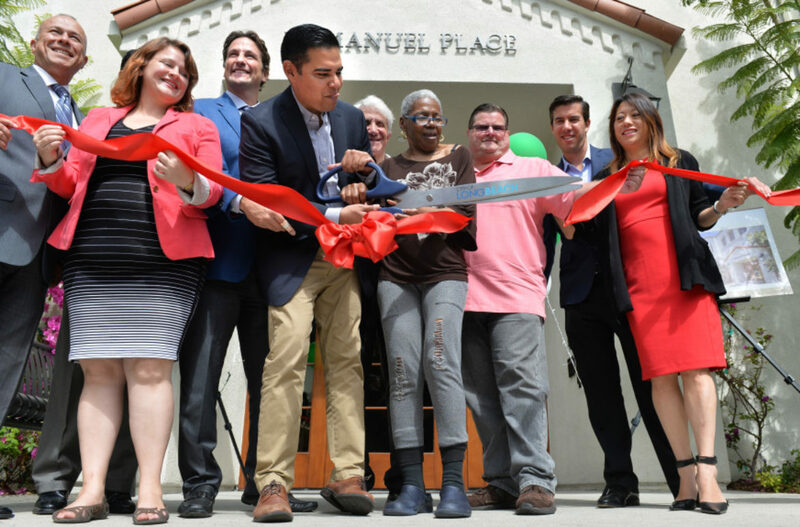 AMCAL Multi-Housing and AMTEX Multi-Housing have taken big steps toward developing workforce housing communities in Santa Ana, Calif., and Austin, Texas. 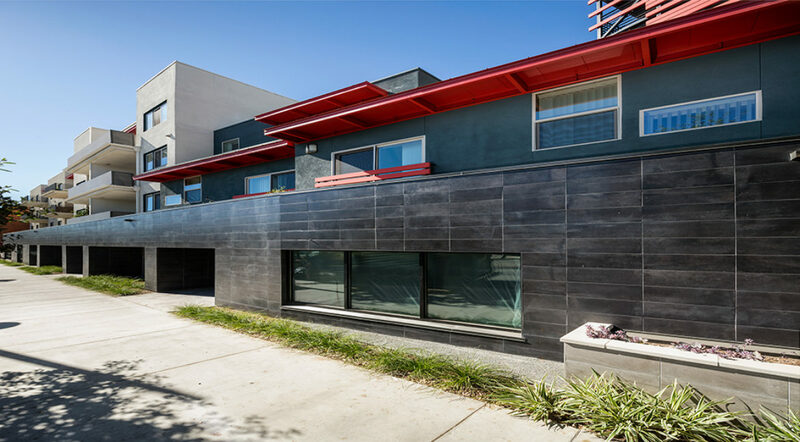 William Hezmalhalch Architects Designed by William Hezmalhalch Architects, First Street Apartments in Santa Ana, Calif., is scheduled to be completed by developer AMCAL Multi-Housing in September 2019. 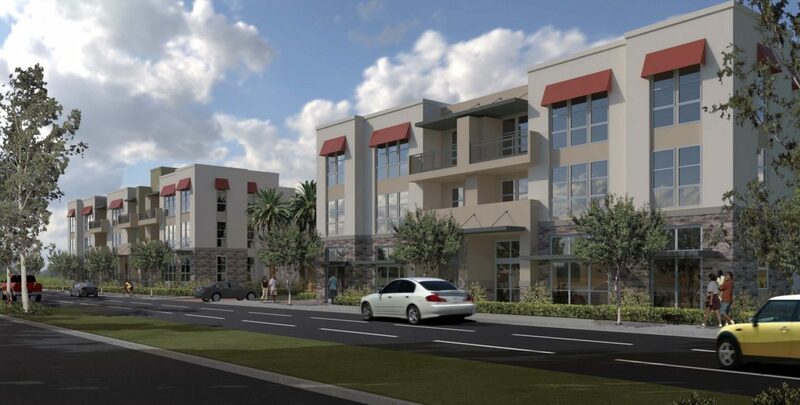 In partnership with the city of Santa Ana, AMCAL Multi-Housing announced that it closed financing on a new 69-unit apartment community in Santa Ana. Bank of America Merrill Lynch is serving as the equity investor as well as the construction and permanent lender for the project. Construction will commence at the site in May with the demolition work of an existing deteriorating office building. This award is given to the person, persons and/or company who played the most significant role in changing the direction of the district by creating a vision to move the area forward. It could be given to a catalyst project, a significant investment to one of the Alliance’s key tenets. 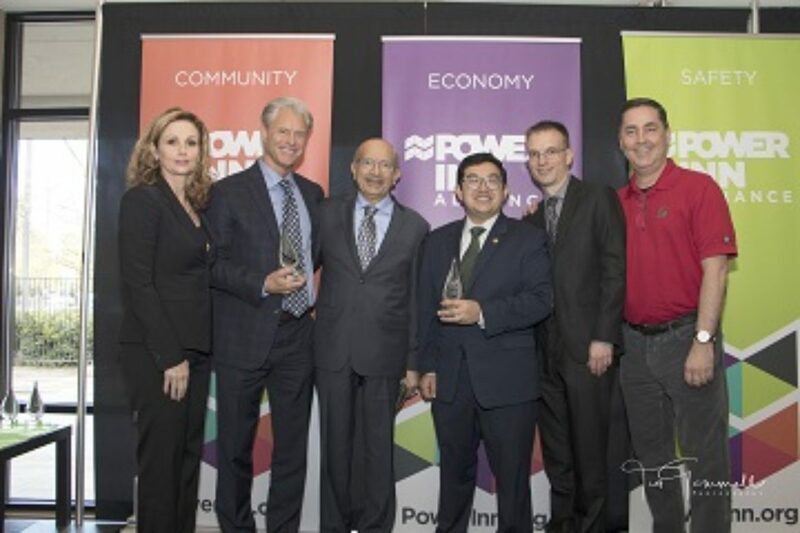 This year, it was given to AMCAL Equity, LLC’s CEO Percy Vaz. City of Sacramento: In 2008, the Alliance and the City began work on a Specific Plan that would become the designated Sacramento Center for Innovation (SCI). That plan was ratified by City Council in 2013 and the City has been working with the Alliance and community leaders to bring its vision to life. AMCAL: AMCAL, one of the nation’s most successful multi-family developers, understood the impact and opportunity in bringing The Crossings student housing project to life. AMCAL’s vast experience in quality design and construction, and their commitment to excellence makes them an ideal partner on this catalytic development within the SCI. Coleraine Capital: Coleraine Capital was the initial real estate partner in identifying The Crossings site, near the Ramona Avenue road extension project. They saw the potential in creating a much-needed niche student housing project, with a focus on amenities and innovation. 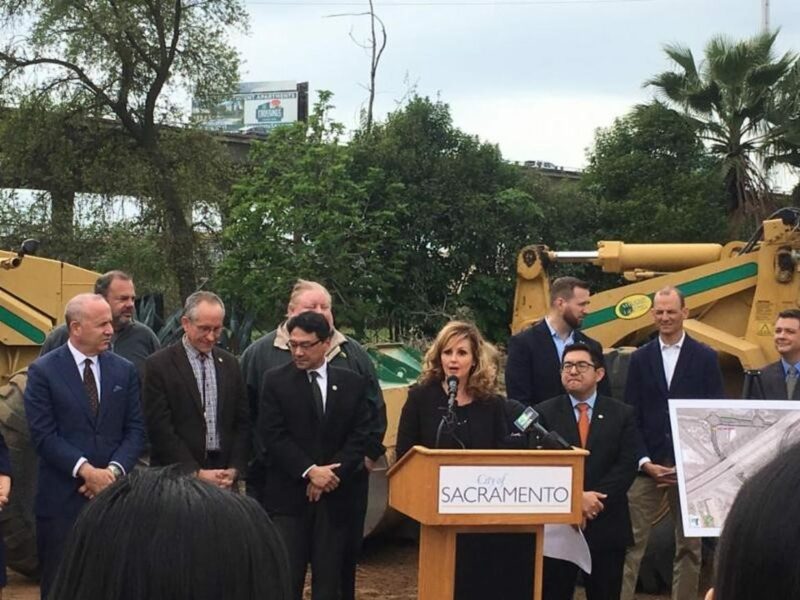 On Thursday, April 5, Mayor Darrell Steinberg, Councilmember Jeff Harris, Councilmember Eric Guerra, Assembly member Kevin McCarty, and community partners broke ground for the Romona Avenue Extension Project. This project, along with the upcoming work on Folsom Boulevard, will enhance safety for all modes of transportation — especially for those commuting to and from Sacramento State University. Construction will begin Spring 2018 and is anticipated to be completed by September 2018. This project not only enhances safety along Folsom Boulevard, but will also connect to a 225-unit student housing project, The Crossings. The housing community will provide 750 beds to serve the students of Sacramento State. Additionally, the Crossings is being constructed within the 240-acre Sacramento Center for Innovation Specific Plan, an area that is designated to foster the exchange of technical knowledge and expertise between students, faculty and innovative businesses and technology companies. Long Beach is thriving. From new jobs and booming construction to important infrastructure improvements and new investment opportunities, the city is undoubtedly growing. And with this growth comes the need for ensuring economic inclusion and a broader range of housing types that serve the needs of all our residents. Working families, seniors, veterans, students, and individuals with disabilities all deserve a safe, comfortable, and affordable place to call home in our city. Over the past several years, housing burdens have become increasingly urgent nationwide, particularly in California, where rising costs and limited supply are taking their toll on lower- and middle-income families alike. A 2017 report on rental rates found a housing vacancy rate of 4.6 percent and a 4.1 percent increase in median rents citywide.